"Isn't art always, to a certain extent, therapy for the artist?" Oscilloscope Labs has debuted an official US trailer for the cinema documentary Searching for Ingmar Bergman, which first premiered as a Cannes Classic at the Cannes Film Festival earlier this year. 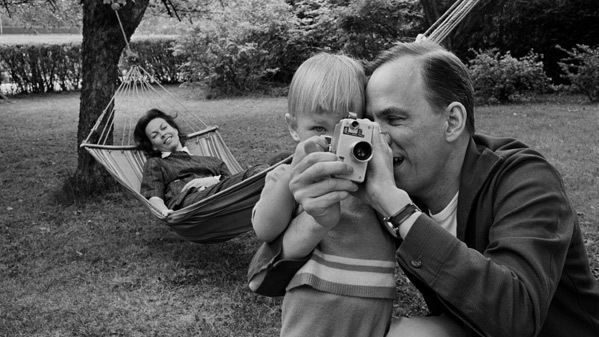 The documentary celebrates Swedish filmmaker Ingmar Bergman's 100th birthday, by taking an extensive and fascinating look at his life and creative inspiration. The doc presents key scenes and recurring themes in his films and his life, and journeys to the places at the center of Bergman's creative achievement and the focal points of his life such as the Royal Dramatic Theatre in Stockholm, locations and landscapes from his masterpieces, and his stations in Sweden, Germany, Spain, and France. This looks like a profound, entrancing, wonderful tribute to the life of a true master filmmaker. On the 100th anniversary of his birth, internationally renowned director Margarethe von Trotta examines Ingmar Bergman’s life and work with a circle of his closest collaborators as well as a new generation of filmmakers. This documentary presents key components of his legacy, as it retraces themes that recurred in his life & art and takes us to the places that were central to Bergman's creative achievements. 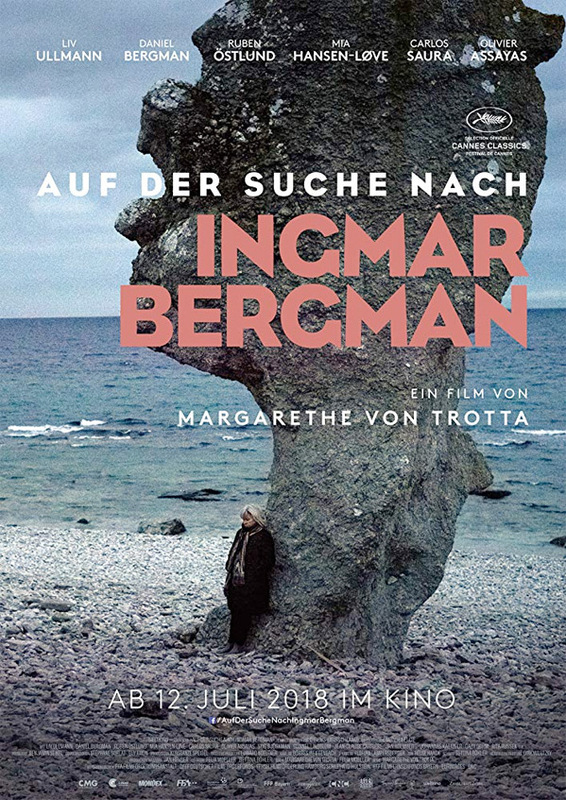 Searching for Ingmar Bergman is directed by German actress / filmmaker Margarethe von Trotta, and co-directed by Felix Moeller and Bettina Böhler. This first premiered at the Cannes Film Festival earlier this year, and also played at the Karlovy Vary & New York Film Festivals. 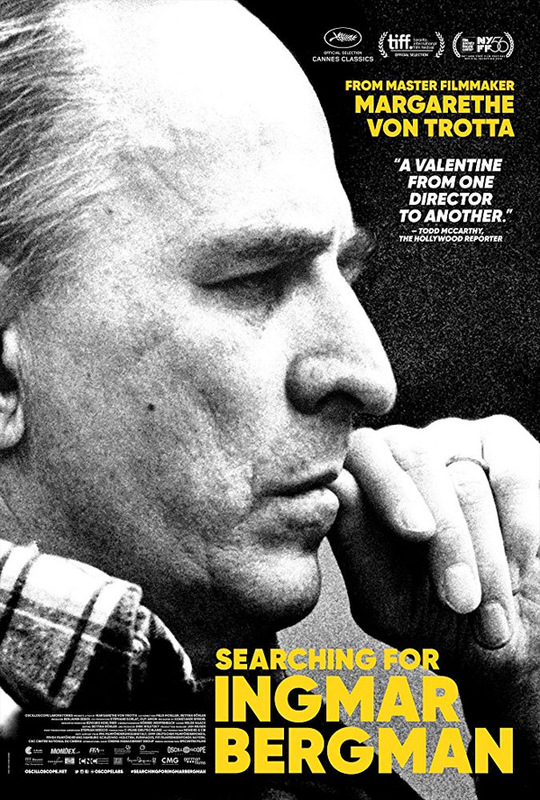 Oscilloscope Labs will release Searching for Ingmar Bergman in select theaters starting on November 2nd. Visit the official website. Who's intrigued?